A tropical peninsula with 40km of semi deserted golden beaches, coral pools, freshwater ponds, forests and mangroves. 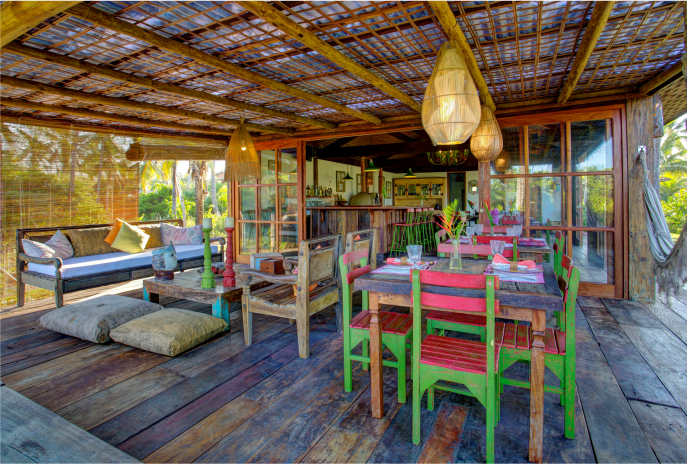 In this atmosphere is located the House of Arandis, a small, exclusive boutique hotel, charmingly built among the palm trees in a sustainable manner, with woods and demolition tiles, uniting rusticity with extreme comfort and modernity. 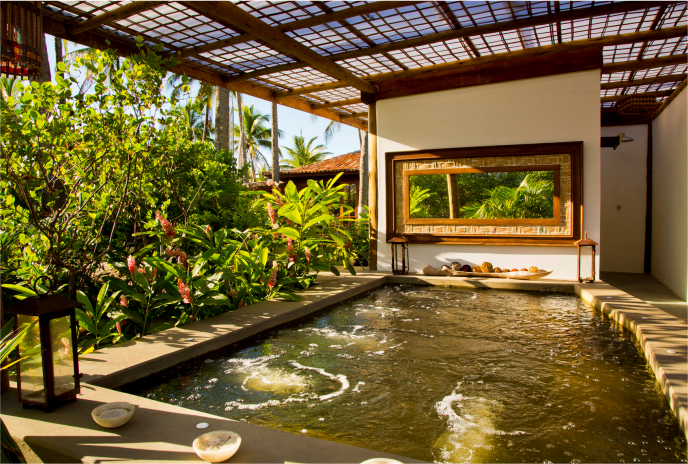 Composed of a house in masonry, the charming Casa Garden, four bungalows, restaurant, bar, mini spa, and massage and yoga, accommodations were made for you to enjoy this nature in warm environments. Our priority is to make you feel at home, whether on arrival, where you will be greeted with refreshing towels, welcome drinks, and in the evening, you can try different drinks of tropical fruits in Bar Andis. The common areas will provide a relaxing experience: Jacuzzi (SPA) & lounge, sauna, yoga / fitness room, massage room, surrounded by green and the sea breeze and restaurant / pizzeria with a menu created especially for you and produced with organic and local products. 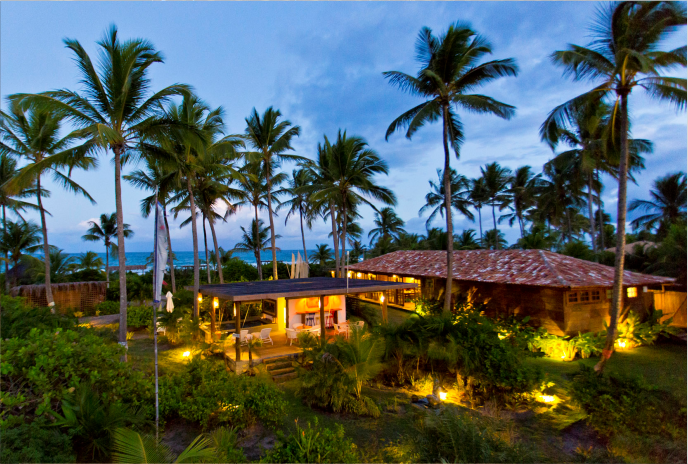 Everything in the House of Arandis is designed for you to experience unforgettable moments and relax in the rhythm of nature. 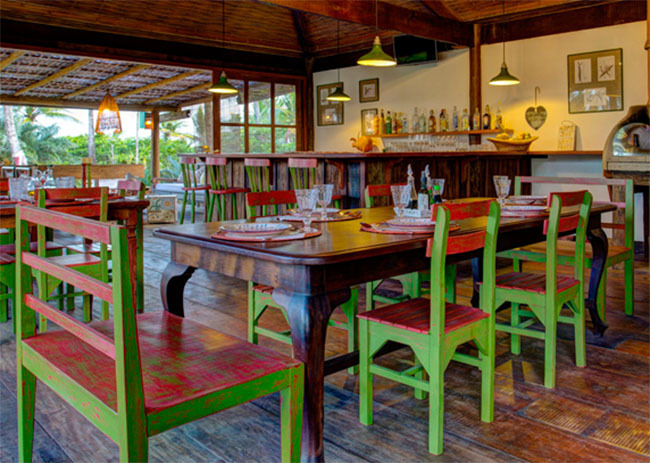 Built in a space with sustainable elements and integrated with nature , the restaurant has a home style pizza oven and wood stove, giving a special touch to meals . The experience of eating well starts in the morning when a delicious breakfast is offered, - typical of the region , complete with tasting menu. The breakfast - a buffet, is varied and the options immense - food made with local ingredients and organic products coming from the Hotel garden . On Sundays , check out the handmade pizzas made in the wood-fired oven - where you are the chef ! A refreshing swimming pool with Jacuzzi made of volcanic rocks of Bali, protected from the sun , makes up a cozy atmosphere. Around deck chairs are scattered to rest after an invigorating steam room, and a super shower . 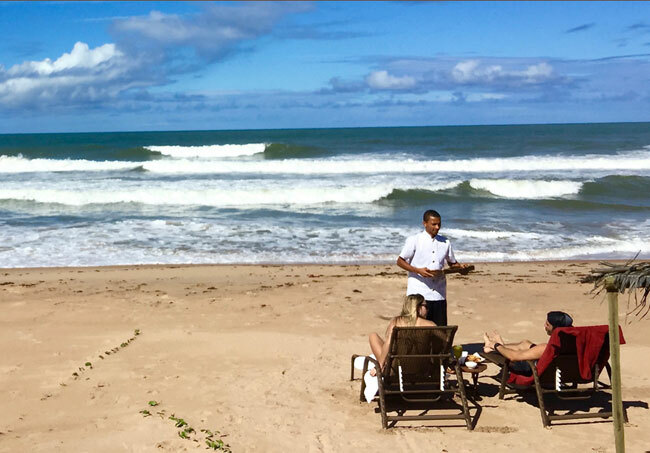 Take the opportunity to read and relax to the sound of the waves from the beach of Arandis. 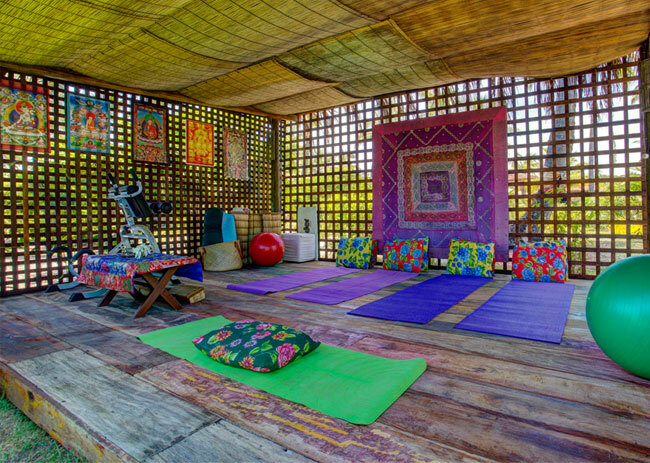 The Casa dos Arandis also has Yoga, Meditation room and Fitness, where you can practice alone or with accompanying specialist teachers, as well as special massage parlor. Just mark! Throughout the day you can enjoy snacks, regional fruit juices and tropical drinks like the famous Honey Cocoa delicacy found only in our region . We can serve you in the comfort of your room , in the lounge of the restaurant, by the pool or on the beach. At night it is the meeting point for conversation and observation of Arandis Sky stars. With cabins installed along the seaside, the House of Arandis offers comfortable sun loungers and offers walkie talkie for you to make your request directly to the Bar without having to worry about finding an available waiter at the time. You are met at once and you can enjoy snacks and drinks direct from our kitchen and bar!